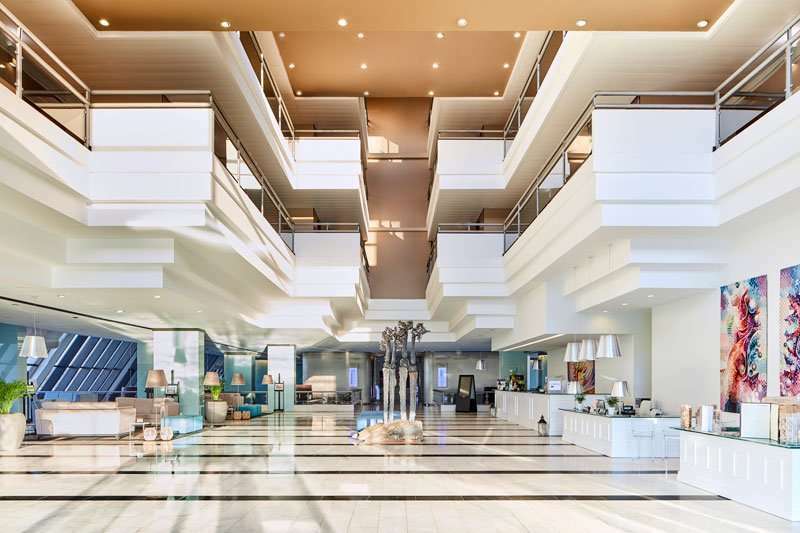 For those looking for luxury at a reasonable cost in the centre of Vilamoura, the spectacular Tivoli Marina Vilamoura is the only option. 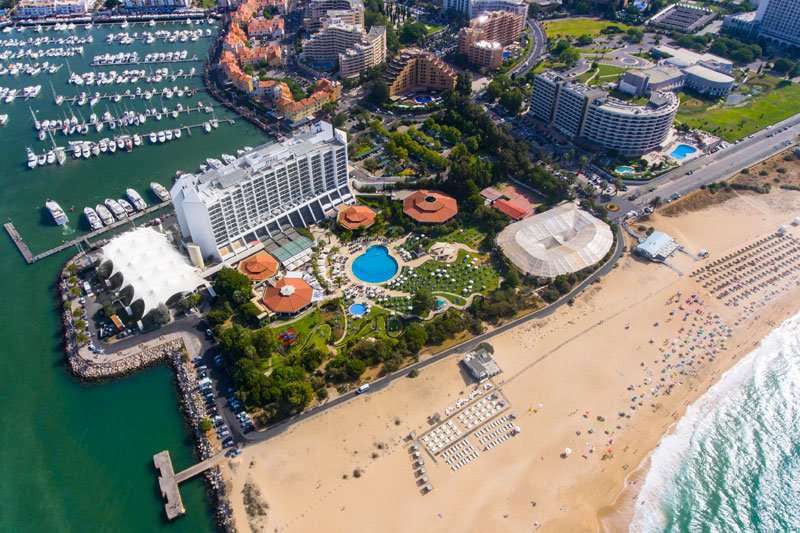 Situated in the heart of the Vilamoura resort, nestled in between the famous Marina and the stunning sandy beach, guests here could not be in a better location. 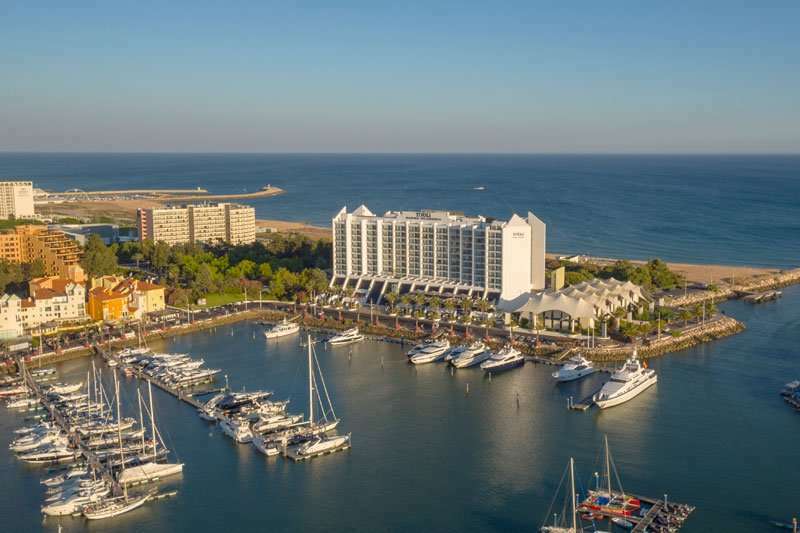 With an unbeatable location, five-star facilities and impeccable service, at the Tivoli Marina Vilamoura guests are set to have their best golf holiday yet. 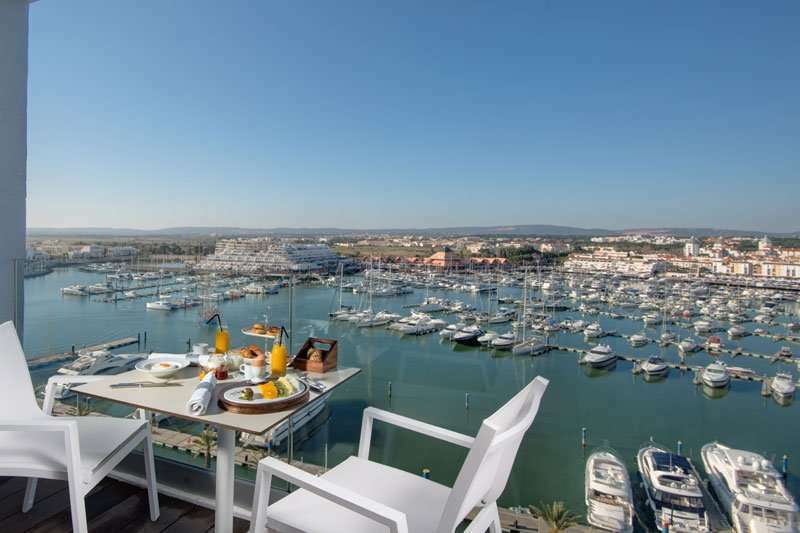 At the Tivoli Marina Vilamoura, guests are provided with postcard-worthy views from every corner. 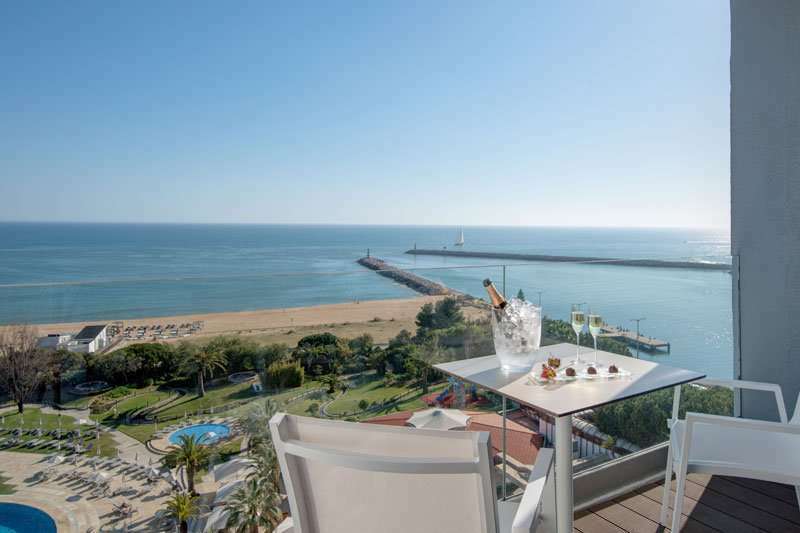 This luxury property is nestled in between the stunning sands of the Praia da Marina beach and the famous Vilamoura Marina. 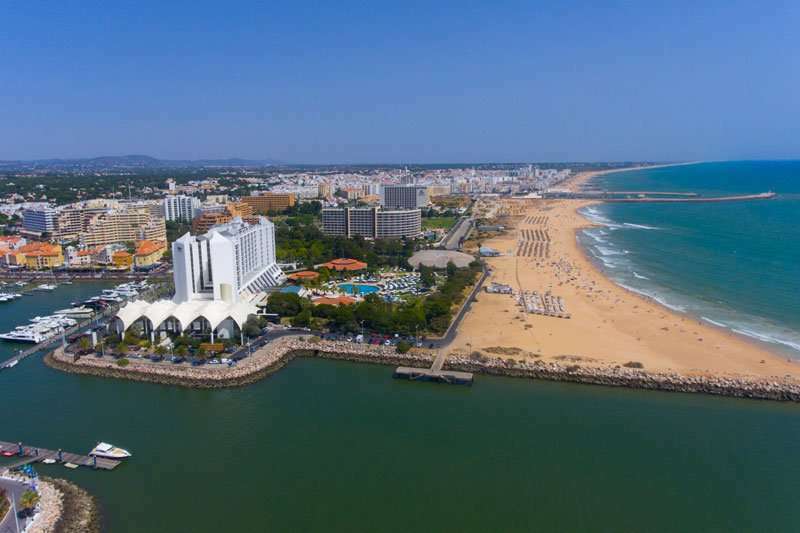 The Praia da Marina is a beautiful beach with power-soft sand and clear blue waters, lined by a promenade full of a range of shops, bars and restaurants. 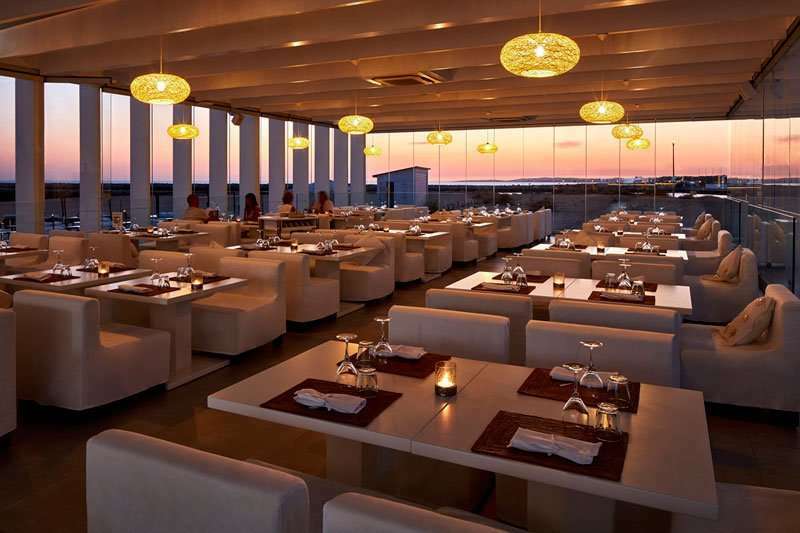 On the other side of the hotel is the yacht-filled Marina, packed with upmarket bars, restaurants and shops. The Marina is considered to be the heart of this vibrant resort, with a buzzing nightlife going on until late at night. 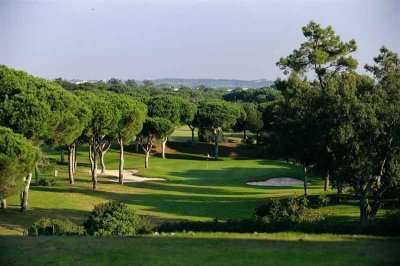 Furthermore, Faro Airport is located just a 30-minute drive away, so the hotel is highly accessible for all golfers in the area. 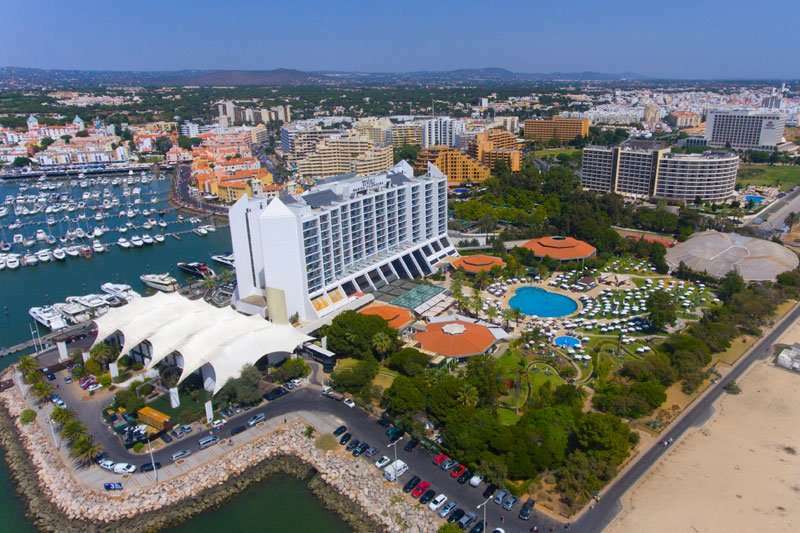 Not only is the Tivoli Marina Vilamoura perfectly positioned its for guests to explore the highlights of Vilamoura, it is also ideal for golfers to play some of the best golf courses in the Algarve. 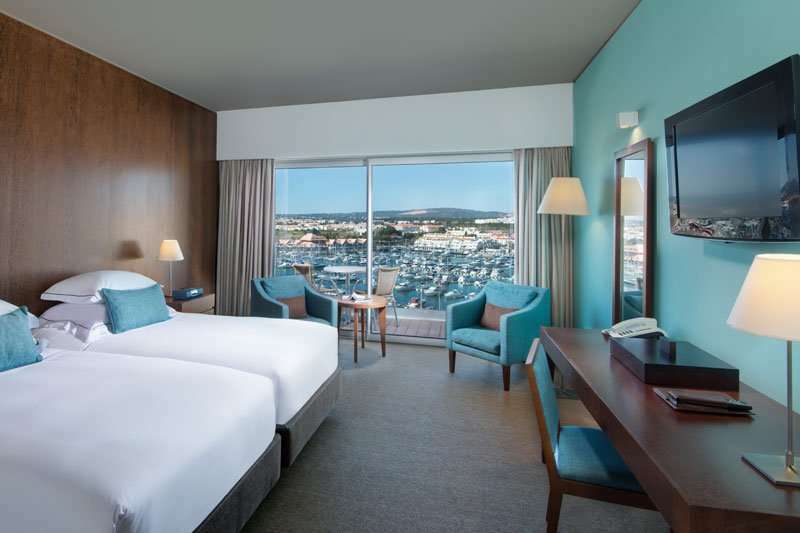 For example, the Dom Pedro Laguna Golf Course is located just a ten-minute drive away from the hotel, and the Dom Pedro Millennium Golf Course is also under fifteen minutes away from the hotel. The standard of the modern recently renovated rooms and facilities coupled with a perfect location ensures that the hotel is much sought after in the peak golfing season. 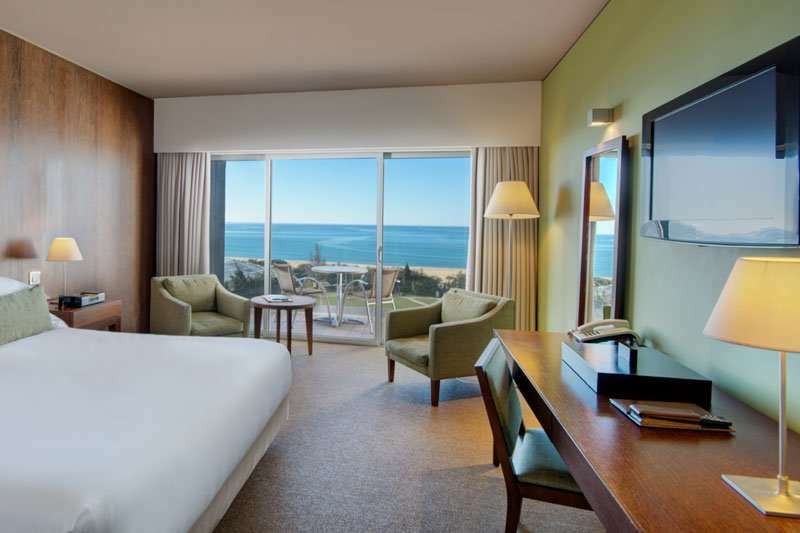 All of the guest rooms at the Tivoli Marina Vilamoura allow guests to take full advantage of the hotel’s stunning setting with their own private balconies overlooking the pool, ocean or the Vilamoura Marina. All of the rooms here come with air-conditioning, complimentary Wi-Fi access, a safe, hairdryer and tea and coffee making facilities. 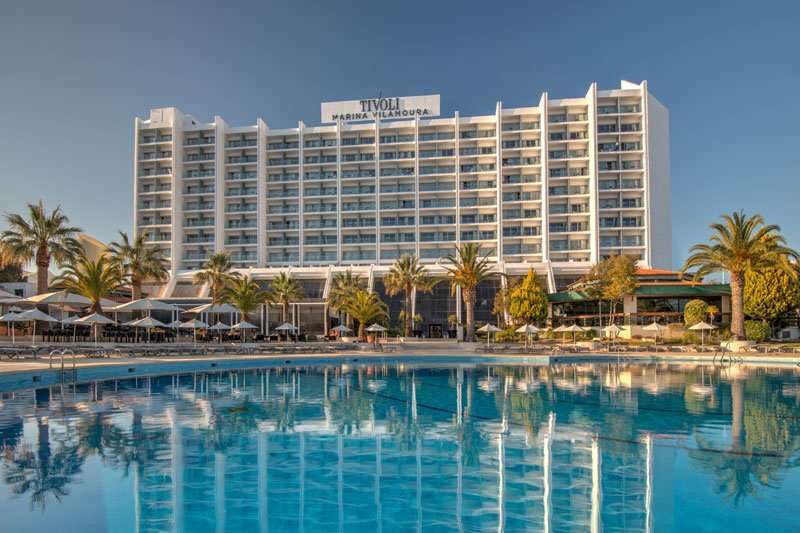 The Tivoli Marina Vilamoura offers its guests an excellent range of leisure facilities, nothing less than what one would expect at a five-star hotel. It boasts an impressive 30,000 square feet of gardens, open out onto the beautiful sandy beach which creates a pleasant and peaceful ambience. 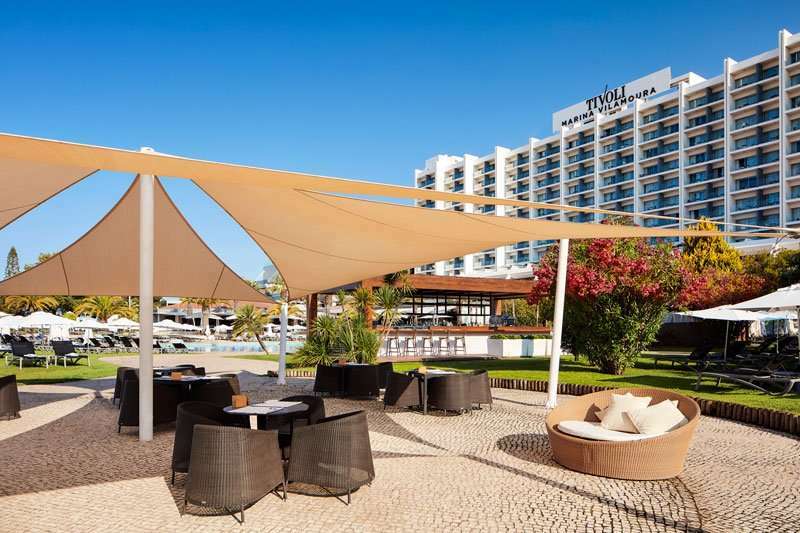 The Tivoli Marina has a feel of spaciousness but always appears lively - golfers enjoy the atmosphere here, making it the unbeatable option for your Algarve golf holiday. 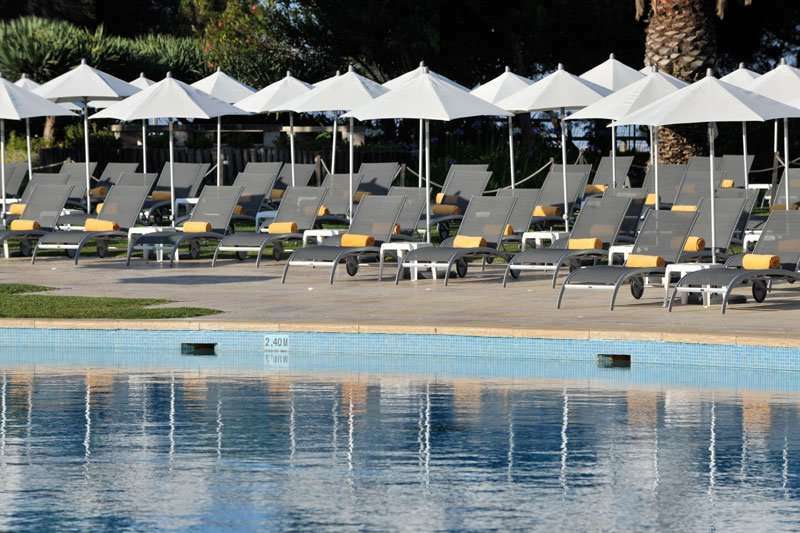 Other facilities include a large outdoor swimming pool, lined with sun beds and parasols as well as a pool bar so that you never have to travel far for a refreshing beverage. 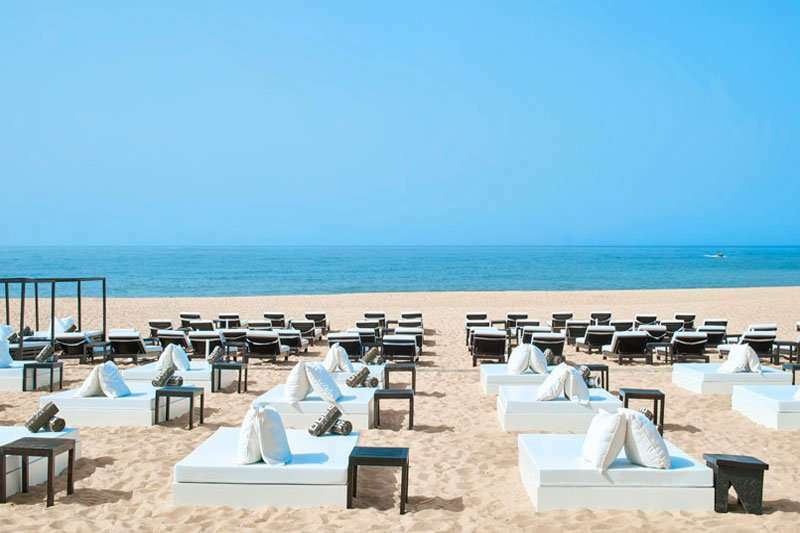 The hotel also has its own beach club, Purobeach, with white loungers, a bar, restaurant and a private pool. There is a games room, playground and table tennis to keep the younger ones entertained. 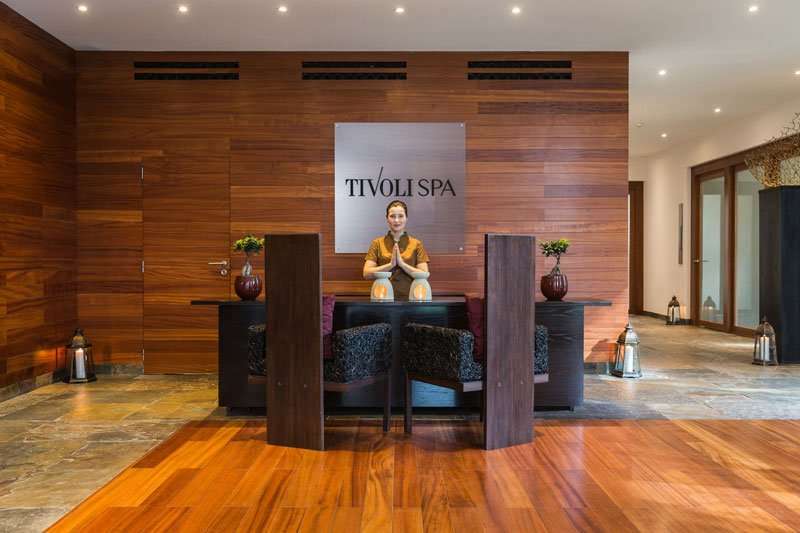 For guests to totally relax, they can head to the Tivoli Spa for a menu of body treatments and massages as well as a sauna and Turkish bath. 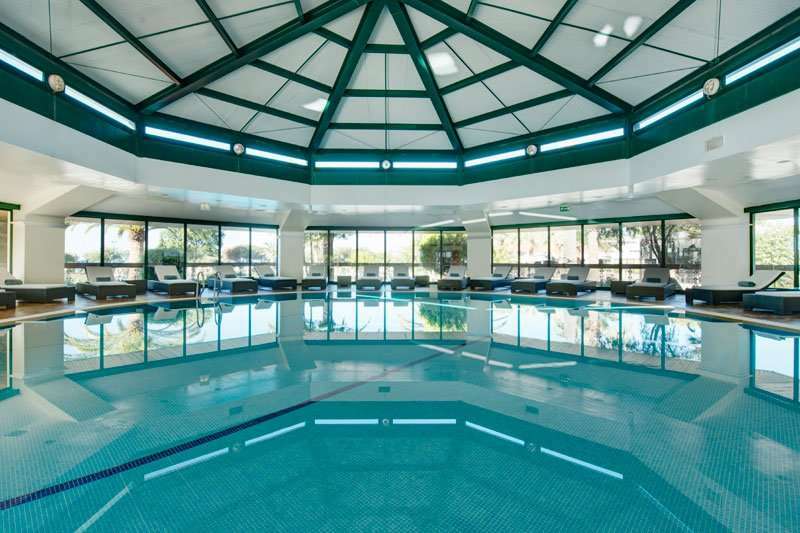 Alternatively, guests can head to the fully-equipped fitness centre to work up a sweat. 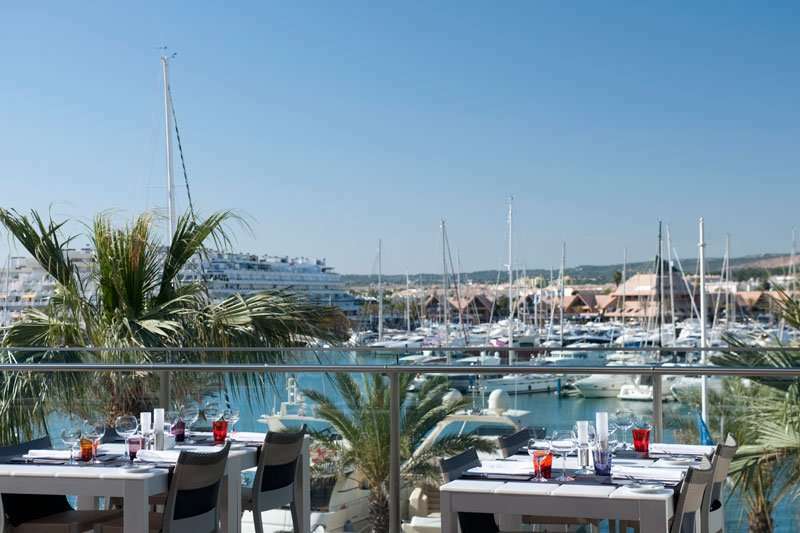 The Tivoli Marina Vilamoura offers its guests an array of fantastic bars and restaurants including the Oregano Italian restaurant and Pepper’s Steakhouse. Guests can enjoy a refreshing cocktail at the Canela lounge bar, accompanied by stunning views of the marina and live music in the evenings.